We all live in an era where truth has seemingly become an “unimportant or irrelevant concept.” Here’s the meaning of the post-truth concept as explained by Oxford Dictionaries, which in November 2016 chose it as the Word of the Year: “relating to or denoting circumstances in which objective facts are less influential in shaping public opinion than appeals to emotion and personal belief.” In 2017, fake news has become one of the most frequently used terms (starting from American President Donald Trump) in traditional and social media, and sometimes even an infamous practice of misinformation. No wonder, then, that trust is in crisis, especially in media. The 2017 Edelman Trust Barometer shows that trust declines in all institutions: government, NGOs, and business, but especially in media, which are distrusted in 82% of countries, with an all-time low in 17 of them. In this distressing scenario, it is quite surprising how traditional and social media keep on losing credibility, while owned media are growing and becoming a more trusted source of information. “Business is on notice,” says Edelman, “In a climate in which the system is perceived to be failing, the expectations of business are far greater. For instance, the three most important attributes for building trust are treating employees well, offering high-quality products and services, and listening to customers.” The Trust Barometer shows that people think personal experience is more believable than data and consider company’s social media practices far more reliable than advertising. As Edelman underlines, businesses must start talking no more at, but with people. The Edelman Trust Barometer describes a new behavior with regard to information: people do not trust traditional media anymore and turn to other sources of information which they consider more reliable; accordingly, if they think a piece of information is trustworthy, it is not important any longer which source it comes from. People still look for the truth, but now they use different, unexpected ways, and they are more likely to trust their personal experience than institutions. Therefore, disintermediation becomes a huge opportunity for corporate communication. Instead of relying on media which are distrusted, brands can become media themselves, give their audience the information it needs, and position themselves as an interesting, relevant, and credible source. This vision started with Tom Foremski’s well-known formula EC=MC (every company is a media company), an idea which few people understood in 2005, as Foremski remembers, while it is now an axiom in disintermediated communication. First and foremost, becoming a media company means knowing your audience: “If brands want to be relevant, they need to stop interrupting what consumers are interested in and become what they are interested in,” says David Beebe, one of the most renowned content production and marketing experts. It is Seth Godin’s permission marketing: “The privilege (not the right) of delivering anticipated, personal and relevant messages to people who actually want to get them.” Brands must earn this privilege by distinguishing themselves from the purveyors of fake news. As Content Marketing Institute’s founder, Joe Pulizzi, claims, to become the trusted source for their audience, brands need to start avoiding clickbait titles and listicles and focus instead on the real and accurate news. This is the pivotal point: in the fake news and post-truth era, brands can stand out and earn trust, but they need to know how to face and deal with this new challenge. More than a decade later, brand journalism has become a recognized concept for increasing brand awareness. Through journalistic mindset and techniques, brands can earn authority, provided that journalism is meant in a professional and ethical way, something that distinguishes authentic journalists from those who spread fake news. Doing brand journalism means thinking like a journalist, that is looking for news and stories that are interesting for the audience, and acting like a journalist, that is giving accurate information, checking out sources, not lying, and not hiding the truth. These may seem like some out-of-date rules when compared to the current scenario of information, but they are just the ethical code every journalist must (or should) follow. Someone might argue that brand journalism cannot respect these rules because it is journalism made by a brand. But if an organization chooses to do brand journalism, it chooses to provide authentic and ethical information, so it will hire professionals and it will create an independent newsroom. Once again, in a context where the rules of journalism are often neglected by the very people who should defend them, organizations can engage in and support journalism made by brands, but in a credible and ethical manner. It all depends on professionalism: to do brand journalism in the right way, you need a journalist. A brand journalist knows how to tell all about the company’s world by looking for interesting news and stories, examining topics in depth and finding trustworthy sources: these are all journalistic skills which can be successfully used in corporate communication. As every colleague, a brand journalist can be in charge of articles, commentaries, interviews, in-depth analyses, and even investigative reports. In 2016, C-NET, a well-known website posting tech news and reviews, sent two journalists and a photographer to Greece’s refugee camps to produce “Life, Disrupted,” an investigative report about how refugees use tech to search for help and a home. 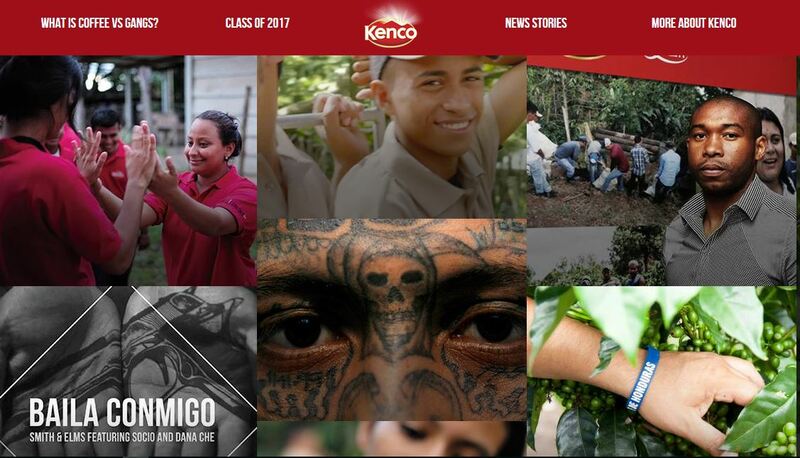 Another example of investigative brand journalism is “Coffee vs. Gangs,” a long-form report produced by the coffee brand Kenco in Honduras, where it started a project to support young people. The report highlights the stories of young Hondurans striving for escaping the culture of gangs and becoming independent coffee farmers. In 2003, Tom Foremski said, “I think corporate media could win a Pulitzer Prize if done right. And I believe it will happen.” His prediction has not come true yet, but, in the meanwhile, many brand journalism websites have become a referral source even for traditional media. One of the first examples were the GE Reports as told by Tomas Kellner, former business reporter at Forbes and currently managing editor of the General Electric’s magazine. Their articles and stories about technology evolution are often picked up by national and international media, such as The Washington Post, Time, and media outlets from Europe to China. This shows that brand journalism, when done right, is acknowledged as authentic journalism by both readers and media themselves. In the fake news and post-truth era, there is still space for real news, accuracy, and honesty. It is a space that even brands can take up, to transform their communication into authoritative, credible, and ethical information. 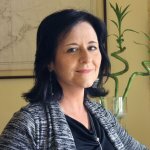 Italian speakers can find more articles on brand journalism by Marialetizia Mele on her blog for SMEs and entrepreneurs.